The Verde collection is so named because it's dedicated to making the world a little greener, having all of its products constructed with 100% sustainable materials. These 18" tongs keep your hands well away from dangerous heat, are extra wide, and have a handle made from stunning tiger bamboo. 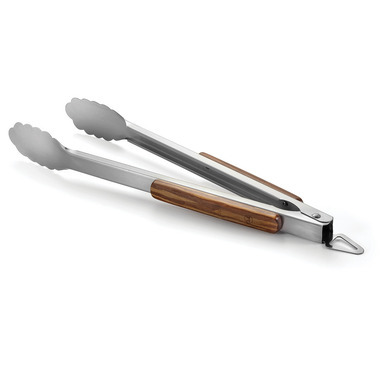 The tongs also have a locking mechanism to keep them safely closed when not in use.